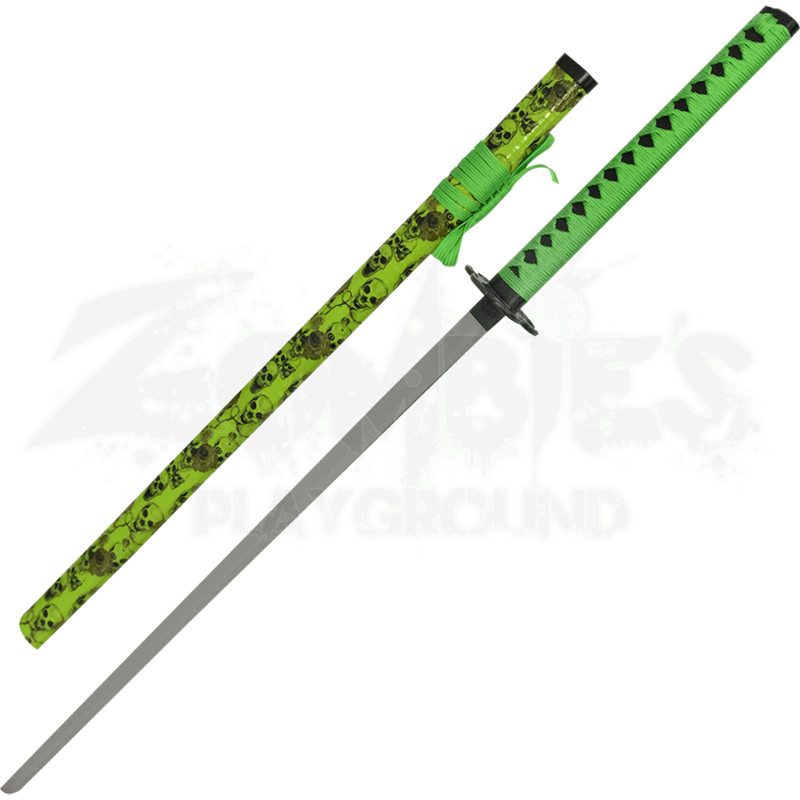 The Zombie Slayer Ninja Sword combines the finesse and skill of two of the most talented types of fighters. Zombie hunters and ninjas alike will look to this sword as a must have blade to include in their apocalypse combat kit. Made from carbon steel, this oriental sword is the finishing touch to your epic zombie hunter ensemble. The handle is wrapped in zombie green cord, making it comfortable in your hand and nonresistant. This ninjato comes with a scabbard covered in green zombie skulls, making it the perfect addition to the collection of any true slayer of undead monsters. 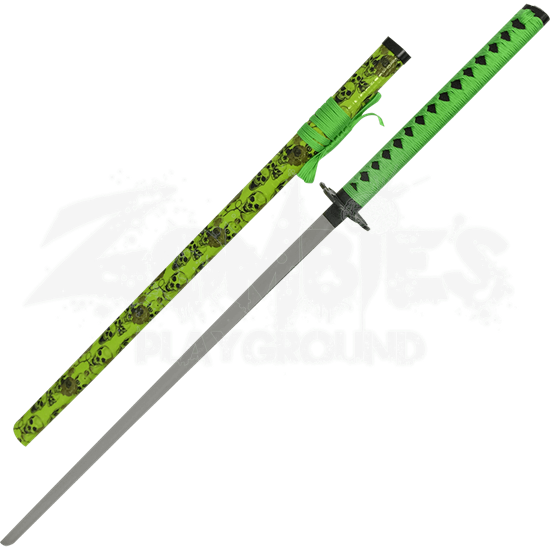 Unique and eye catching, the Zombie Slayer Ninja Sword is exactly what you are looking for to bring out your ninja skills on the walking dead battlefield.